Dr Gursh Bajwa saw this patient today. She was complaining of pain from the lower left molar. 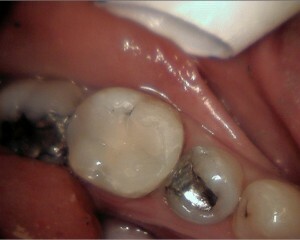 The amalgam filling had tooth decay underneath it and it was replaced with a white composite filling. 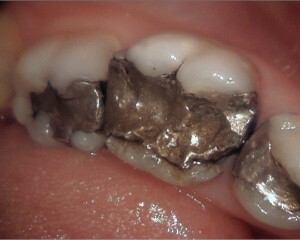 The patient was very happy with the final result!